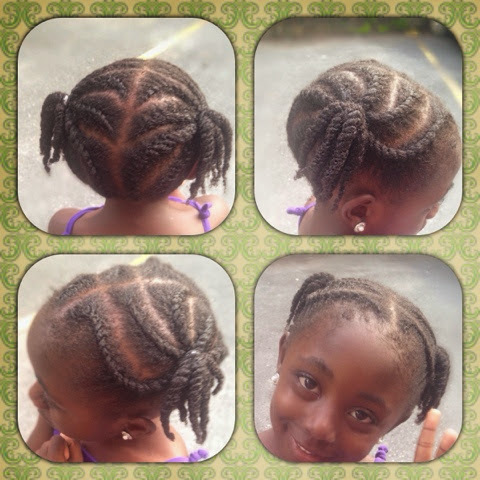 This is another simple Flat Twist style. But they only last for a week. They can be kept longer than a week if you like frizzy hair. 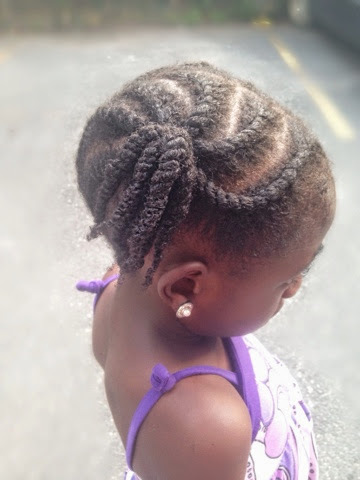 I used curls control paste( very little) to flat twist for a neat look because her flat twists always become loose right after installing them. So the paste helped with that problem. 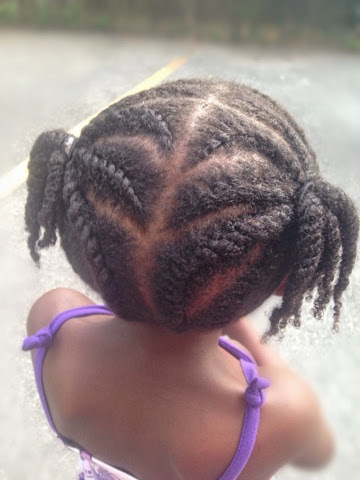 Her hair was properly moisturized and sealed prior to styling, so we only moisturized her hair in this style once. I used a home-made mix of water, Aloe Vera juice and Glycerin. Then I sealed the hanging parts with Castor oil.